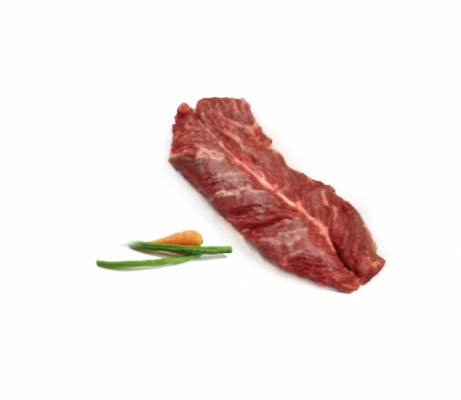 Hanger steak resembles flank steak in texture and flavor. It is a vaguely V-shaped pair of muscles with a long, inedible membrane down the middle which can be removed or eaten each side of the membrane. The hanger steak is best marinated and cooked quickly over high heat and served rare or medium rare, to avoid toughness. There's a great blog post I've come across, which gives you even more detail of this wonderful curious cut.